When I was younger, Resident Evil 4 looked so cool. I remember being so excited to play it. Then I found out that it was only going to be released on the Nintendo Gamecube, which I didn’t own. My dreams were shattered because I was a dumb kid and didn’t realize that one day it would come to more consoles. Since that sad moment in my life, RE4 has been released on nearly every platform. And I can’t stop buying it every time a new port is released. 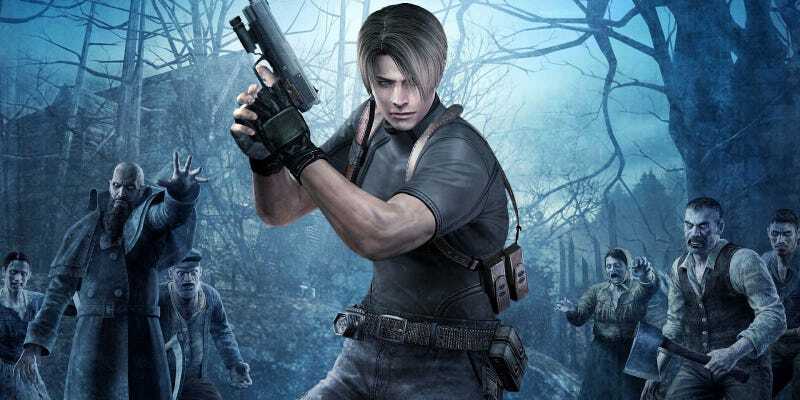 When it was announced last year that RE4 is coming to the Switch in 2019, I remember getting really excited. I might have even pumped my fist. Then I realized that I was cheering about being able to buy and play a game that I have beaten multiple times and already own on five platforms. What is wrong with me? Considering that Capcom keeps releasing RE 4 on every new console, it seems I’m not alone in my Resident Evil 4 obsession. So actually, what’s wrong with all of us? I currently own Resident Evil 4 on: Xbox 360, PS4, PS2, Wii, PC and Xbox One. I even played that awful Android port that nobody remembers. Did you know that RE4 was released on a console called the Zeebo? This console was only available in Mexico & Brazil and I spent way too much time actually trying to buy one. Seriously, what is wrong with me? At this point I’ve made my peace with the fact that I’ll never stop buying Resident Evil 4. When the inevitable PS5 port is released, I’ll buy it and play it. What’s a game that you can’t stop buying? Every time a port is announced you just HAVE to pick it up. Share your shame.